Well that's got to be a story in it's self. 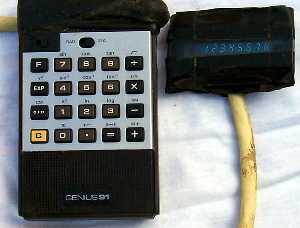 I have had a long association with computers, since I first merged two different broken calculators to make a working calculator with remote florescent display in 1974. I began using the Tasmanian education department's Digital (DEC) PDP 8 & PDP 11 systems in 1975 while at High school in Ulverstone Tasmania. We had a 75 baud leased line modem which connected to a PDP 8 in Devonport, 20 km away. 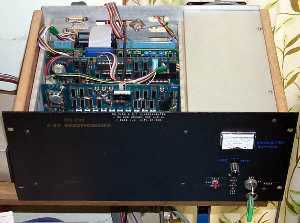 The PDP 8 had to be boot loaded using front panel switches, and simply acted as a line multiplexer, combining 8 users to share a leased line to Hobart where the PDP 11 (System A) lived. Every keyboard stroke at Ulverstone resulted in a character travelling some 300 km to Hobart before being echoed onto the Screen or Paper. Yes we began using an old mechanical ASR-33 teletype with punched paper tape and paper roll. It used a 20 ma current loop. Those were the days. Many hours were spent in the converted locker room that we called the computer room, both before and after school hours. Programming back then was either in Basic or a language called LOGO. LOGO was a graphical language which allows the drawing of vector images. Later the LOGO output was hooked in to the Tasmanian Turtle, a Robot with a pen which trundled about the floor according to the LOGO programs drawing vectors. In 1977 the turtle visited the High school and those with the best LOGO programs got to run their programs on the turtle in a classroom that had its floor covered in paper. LOGO really was an early form of HPGL. When I moved to Don College to complete HSC, I studied Computer Systems alongside the aforementioned PDP 8 and by then a newly installed PDP 11/34. The system in Hobart had grown to 2 systems, both PDP 11/70s and there were also systems in Launceston and Burnie. We had a state wide network with all machines accessable from each other. The Year was 1979. You thought networks were a recent apparition! A group of us Nerds had a great time solving the original adventure game on the network and even got around there being no game save function by implementing a substitute input device called a do file! In my computer studies course I wrote a basic program called Small Busness Accounting and Payroll software which was a small database which recorded employee details, worked out their pay and calculated the taxation deductions. This project was reviewed by Philip Ryan and I was subsequently employed by his small business to adapt the program to his Vector computer system. The small business was Tasmanian Opinion Polls (TOP) and Dateline. I completed a full accounting system for them during the holidays including printing cheques on roll feed stationary. There were three programmers employed at the office, the others doing the statistical analysis for the opinion polls and a computer date matching program (Dateline). After the accounts system was finished the Dateline system was incomplete, since the programmer had left. So I took over that work and completed that program suite as well. I invested all my earnings from TOP and Dateline in building my own computer. I selected an Applied Technology DG-Z80 system based on the S100 Bus. I began with a CPU and Video card. The video card had 1k of RAM and the CPU had 4k or RAM and 8k of ROM. I Built my own keyboard and modified a B&W TV set for use as a monitor. 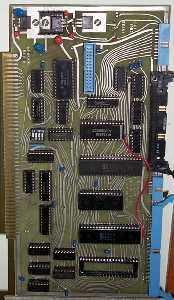 My first programs were written in machine code, and achieved functions such as text editing and graphic line drawing. I upgraded with a S100 bus 64 k dynamic memory board and with the addition of a Kansas City Tape interface was able to load basic. 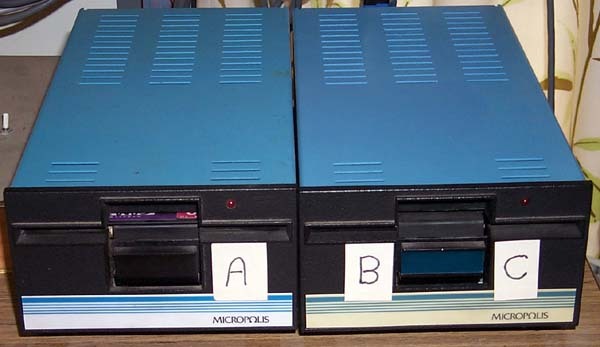 Many programs were then developed, all based on the cassette storage system until I installed a Micropolis 630 k double sided Hard Sector Floppy disk system. These were the same as a 360k 5.25 inch disk but instead of 1 sector hole they had 17 sector holes and a much higher density. Note this was 1981 and PCs had not really arrived yet. This allowed a quantum leap in the program development that I was doing including DGOS. If you want to learn about computers, build one from scratch! Program development started to include applications such as scoring for the Tasmanian Canoe Club during their slalom event. I then proceeded to modify the computer so that it could operate of a backup battery supply, as no power was available at the canoe course. With a power change-over relay fitted I had made a no-break system for my computer using motorcycle batteries for storage. This saved me a couple of times when the power failed, but the computer kept going. The date again 1981! It was at this time that I first wanted to control things with the computer and started to realise that there simply was not enough I/O options available on the computer. Time for an expansion! During second year Engineering at Swinburne Institute of Technology I designed a S100 bus I/O card which has 32 parallel ports, 2 serial ports, 8 analog inputs and 4 counter timer channels. This card was laid out using bishop graphics tape and produced at Swinburne. 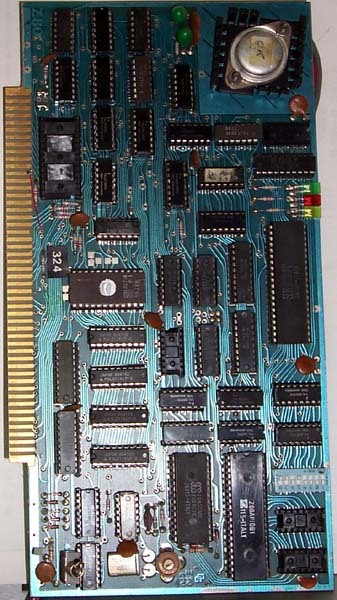 Ther was so much demand for this board in the local DG-Z80 users group (later to be come M-Bug at the time of the microbee and later again the PC Users group) that I produced a production run of 10 boards. I ended up selling 7 of these. When I set out on the project to design this board, I was told it was too ambitious and I would never complete it! Well what did I control, my first real project with the I/O board was an attempt at a times square LED matrix display shown above. I set up an 8x57 matrix of LEDs soldered onto veroboard and then used the I/O card to drive it using 2 parallel ports and a counter timer channel. Unfortunately I found that at a 1 in 57 duty cycle LEDs do not make enough light to see (in a lit room). So I increased the LED drive current. When I reached around 150 ma the LEDs were visible, but if the program stopped scanning, the LEDs in the column that was then lit were placed in SEVERE distress. I am planning to re-engineer this project - one day when I get time. Enter the PC. I started using PCs in my engineering degree at Swinburne.Terminals and mainframes (FACOM) were still the main computing resource, but the IBM PC appeared in 1982. Our first tasks were learning DOS, using word processing and making antenna calculations.